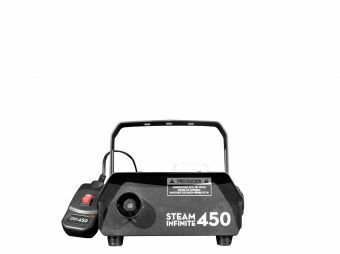 Steam 700 RGBA is a professional fog machine 2-in-1 that has 16 RGBA 3W LEDs, adding an attractive visual effect to its original function. Thanks to the incorporation of amber LEDs, the fixture achieves a very complete and attractive color mix, standing out naturally in any given situation. With an output of 20,000 cubic feet per minute and a 2L (67 Oz.) 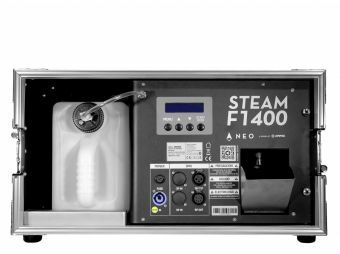 tank capacity, Steam 700 RGBA is itself a high performance fog machine, beyond its attractive visual effect. 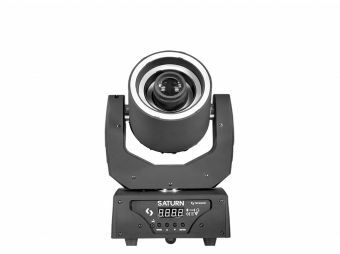 The fixture has 5 DMX modes, (7 DMX channels max) and includes a wireless remote control that allows four different programs to be run at a distance. Dimensions: 409x297x195 mm. / 16x11.7x7.7 in.